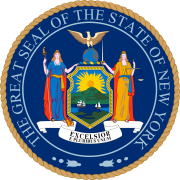 The 1786 New York gubernatorial election was held in April 1786 to elect the Governor and Lieutenant Governor of New York. George Clinton and Pierre Van Cortlandt were re-elected unopposed. This page was last edited on 30 March 2019, at 04:16 (UTC).